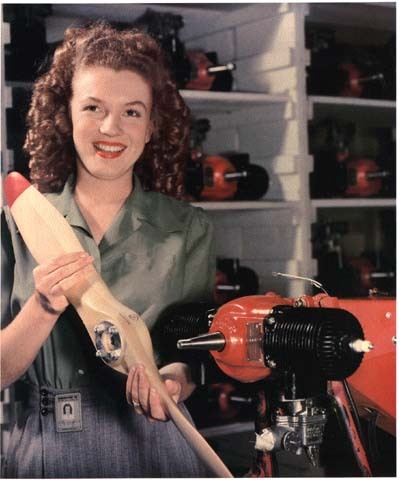 In 1945 the woman who would become Marilyn Monroe, then known as Norma Jeane Dougherty, worked in the Radioplane Munitions Factory. Her glamourous job involved spraying fire retardant and checking parachutes for remote controlled aircraft. These aircraft were used for target practice for anti-aircraft gunners. Captain Ronald Reagan (later to become President) sent a photographer to document the factory for a patriotic magazine. The photographer encouraged Norma Jeane to take up modelling, leading to her distinguished career. Will modern fighters, like the Super Hornet, win over potential F-35 operators?